An excellent source of information to help you restore classic arcade machines. Repair logs, parts and pcb databases, a forum and so much more. It’s definitely worth a look if you love arcade machines! 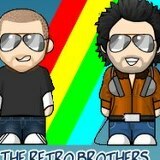 RetroCollect is a great retro gaming site with tons of information for retro game collectors. Excellent reproduction and custom boxes, manuals, maps, posters and complete in box games. Offers Nintendo NES, SNES, Virtual Boy, Game Boy Advance and Atari products. A truly wonderful site with tons of NES information. Gaming interviews, features, news, reviews and much more. 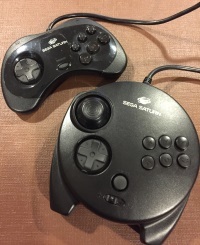 8-Bit Central is dedicated to providing detailed images of video game consoles & handhelds from multiple angles, documenting ports & connections and showcasing some of the more interesting accessories. Our aim is inspiring anyone curious or passionate about retro gaming to delve into 8-bit gaming! The UK’s first site dedicated solely to recording everything released for the Nintendo Entertainment System whether it is consoles, accessories, merchandise, game reviews articles or interviews, NES-Bit aims to keep as accurate a record possible. Spectrum games reviews. Its fresh in here, its fun, its Monty on the run. Join in and raise a toast to the best computer of the 8-bit era. Spectrum games – you know you want to. Games from past and present that make you chuckle. Compare prices on 26,600 video games. See historic prices for every game. Find stores with the lowest prices. Questicle.net – The quest to review all 765 NES games! A site by Dylan Cornelius – His mission: To review every U.S. made Nintendo game with style, wit, and the occasional insightful comment. Dylan’s clueless overconfidence proved effective in the beginning stages of the quest. Reading his early reviews is like listening to a crazy uncle: messy and long-winded, but enjoyably unpredictable. But, like any insane project one assigns one’s self without counting the costs, Dylan grew weary of reviewing NES games in his rambling, anything-goes style. Several week-to-month long breaks later, Dylan began to pace himself, value clarity and brevity over length, and above all, skip a day if need be. By sticking to these principles, Dylan’s passion for the quest has remained steadfast and true. Barring any unforeseen circumstances, he will have written a review for every U.S. produced NES game by the end of 2013. A site that prefers old school gaming to modern games. You’ll find something of interest! A website dedicated to retro gaming! NESWORLD is packed full of Nintendo goodness. It is truly one of the best retrogaming sites on the internet. Find Your Inner Geek has information on gaming, movies, tech, sports, news and more! A geek is defined as, “A person with an eccentric devotion to a particular interest”. At Find Your Inner Geek, your interests are our devotion. Old School Game Blog is basically about everything related to retro gaming. You will find reviews of classic games and hardware, news and comments concerning retro-related projects, coverage on everything that has to do with the Amiga, thoughts and opinions about the past and present in the world of gaming, and a big serving of sweet nostalgia.